Ir. H. Djuanda Forest Park presents a very beautiful natural atmosphere supporting geographical conditions with being right on the Bandung basin stretching from curug dago, dago experts to Maribaya included in the forest area of Mount Pulosari so it is suitable as a natural tourist destination, history and educational tour Love for the environment. The history of THR Djuanda started when it was first pioneered since 1960 by the Governor of West Java at that time that is Mashudi, assisted by Ir Sambas Wirakusumah (Administrator of North Bandung) and Ismail Saleh (Minister of Justice) and Soejarwo (Dirjen Kehutanana dan Pertanian). Exactly three years later, in 1963, part of this protected forest began to be prepared as one of Forest Tourism and Botanical Gardens in Bandung. And in the same year, exactly on November 7, 1963, the Prime Minister of Indonesia who the tenth birth of tasikmalaya and also the initiator of the Declaration of Djuanda, Djoeanda Kartawidjaja died. Waterfall or Curug Dago has a height of not less 12 meters with a location altitude above 800 meters above sea level. Curug Omas is actually better known to the citizens of Bandung and also tourists as Maribaya Curug, because the location is located in the area Maribaya Tourism Lembang Bandung. The tourist attraction of Curug Omas Bandung is the exotic nature scenery will be the beauty of the waterfall which has a height of about 30 meters and the atmosphere and the air is very cool. Curug Omas is a meeting point of two streams in Bandung, the Cikawari River with the cigulung river, which then forms the path of the Cikapundung River basin. Built in around 1918, the Dutch Cave in THR juanda Bandung is believed to be used as a military base, arsenals storage, communications center, hydropower to serve as a prison. Cave relic of the Japanese colonial period built in 1942 has 4 doors with 2 air ducts. Location of Japanese Cave in Forest Park Ir.H Djuanda from the location of the entrance gate, is about 600 meters. 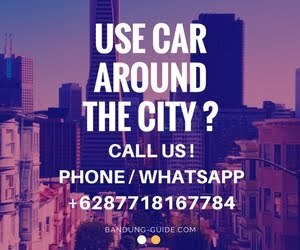 For you sports enthusiasts walking the natural areas are still beautiful and cool air, definitely Tahura Bandung tourist spot this is his favorite location. Check out the tracks or hiking trails here, and enjoy a number of attractions while you exercise in this very well-laid urban forest. 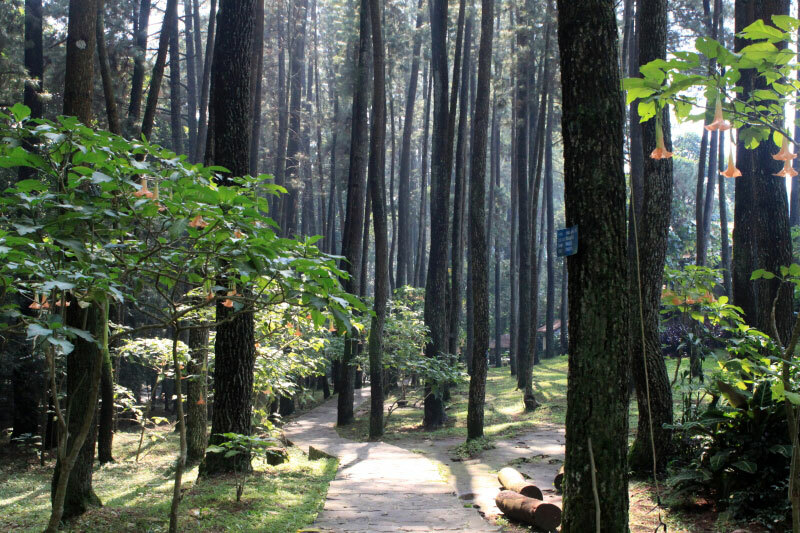 The operational time of the forest park in Bandung is every day, Monday - Sunday, starting at 06.00 - 18.00 WIB. 1.Through Dago Terminal, this is the fastest and easiest road route, because it is only about 2 KM and the road is smooth and can skirted by two wheel vehicles, four to bus. 2. Through Ciumbuleuit Road - Punclut Bandung, this alternative road is 6 KM which is often used even though the road condition is still land and can be traversed by 2 wheeled vehicles only. 3. Through Lembang - Maribaya, this is the route of the road to the other THR Djuanda is quite comfortable, 4 KM that can be passed by the vehicle wheels 2, 4 and Bus. 4. Entrance entrance IV in Maribaya, you can go from the direction of Lembang.